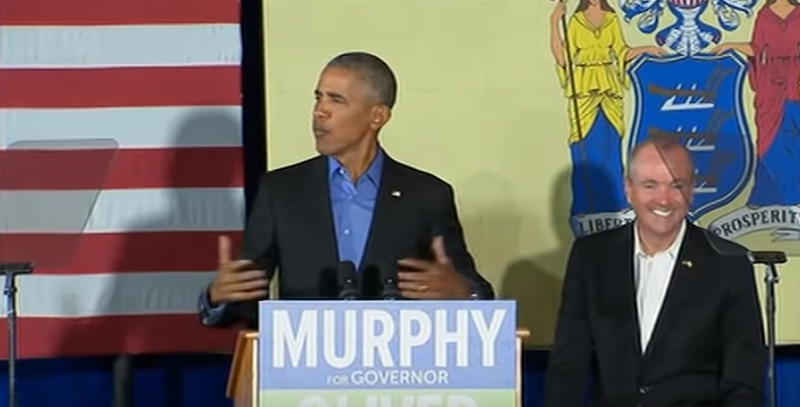 TRENTON, N.J. — Murphycare is now on the books, Save Jerseyans, and the Garden State is poised to double-down on one of former President Barack Obama’s worst failed (and subsequently rejected) ideas. Back in mid-April, the New Jersey state legislature passed legislation (A-3380) requiring all New Jerseyans to purchase health insurance or pay a penalty, mirroring the old Obamacare mandate which was repealed by the GOP Congress’s landmark federal tax reform legislation. Democrat Governor Phil Murphy signed the measure into law on Wednesday. He also signed A-3379, legislation which instructs the New Jersey Commissioner of Banking and Insurance to apply for a formal federal waiver of certain Affordable Care Act (ACA) provisions in order to aid a reinsurance program which will, supporters claim, help control premiums in New Jersey. Critics were quick to point out the counter-productive qualities of Murphy’s decision. Experts believe the penalties levied against consumers associated with these changes could bring in between $90 million and $100 million for the state’s coffers.